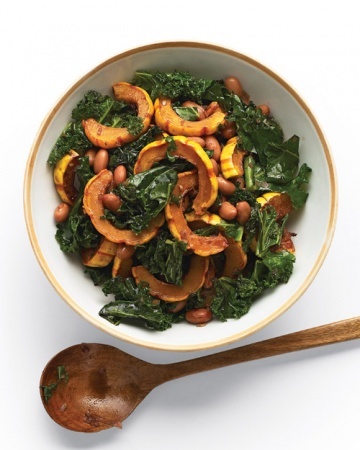 Whole Living has a beautiful slideshow of 27 suggestions for autumn salads. 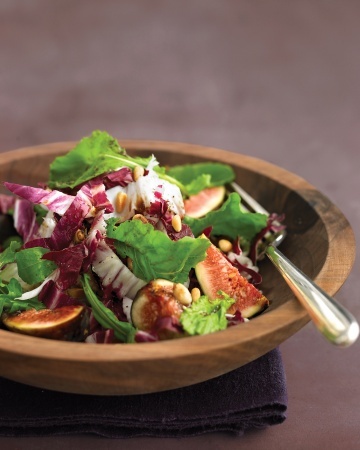 There are so many great vegetables in the fall that add beautiful colour and depth to your salad. 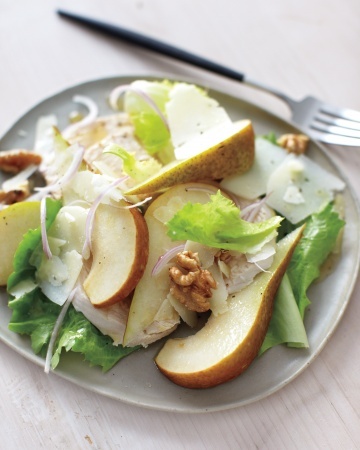 These can be dinner salads as well as side salads. Wander on over to their site today and take a peek at some of their tempting dishes. Here`s a few to get your mouth watering. Have a great weekend, everyone. Cheers! I am sure it is because I am over-tired but when I first clicked on your post the top salad appeared to have hot dogs on top haha! I thought maybe you had crossed over to the dark side : ) The salads look great and such fun combinations. Maybe I will try one after I get some sleep…Happy Sunday! LOL, it DOES look like hot dogs! I will confess to occasionally craving a hot dog with all the toppings but I just have to remind myself how I feel afterwards and that stops me, lol. Hope you had a great weekend, Mindy….and got some sleep! What a great collection of salads! The last one with raw Kale looks quite yummy! 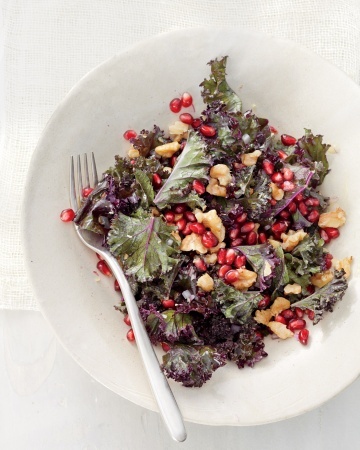 My cousin made a salad with Kale and it had a spicy dressing on it with pine nuts – it was excellent! Happy Fall 🙂 Hugs to you! I’m liking kale more and more. At first I found it quite bitter but persisted because it’s so good for you. I find sautéing it really helps too. Happy Fall to you as well, my friend.